Facebook, Twitter, etc all let users upload an address book to find their friends by email address. 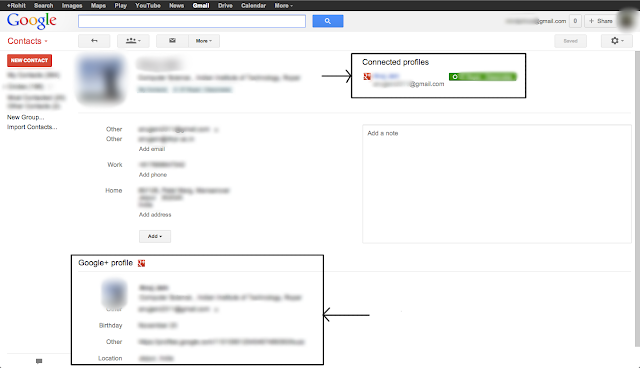 if you don't want them tied to the same email, use different email addresses. But both Facebook and Twitter provide an option to turn this "Find by email" off. On Twitter, you can uncheck "Let others find me by my email address" in your account settings. On Facebook, you can set "Who can look you up using the email address or phone number you provided?" to "Friends" to disallow everyone who can't already see your email address to look you up. 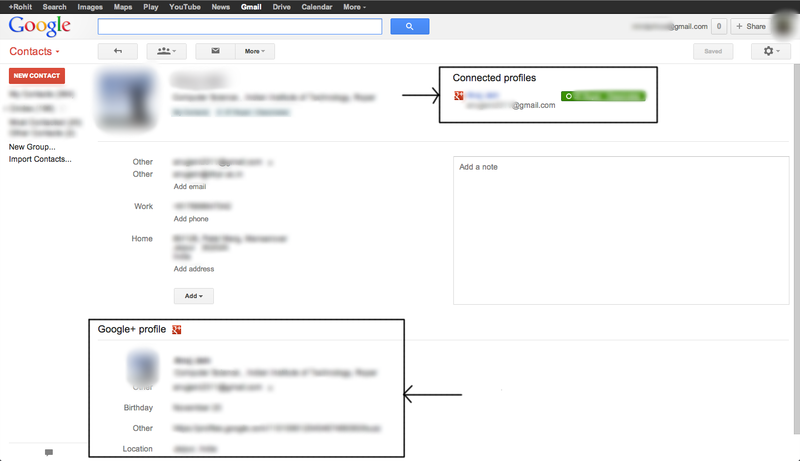 Rohit, Check this chrome extension - Rapportive It's a must have if you're a Gmail user It can dig into many social profiles, including the ones mentioned by you. I couldn't find it, where is it?